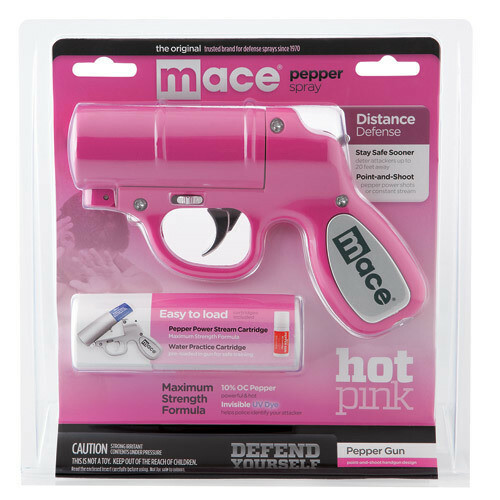 MACE® PEPPER GUN Uses Advanced Delivery System utilizing Bag-in-a-Can Technology. This new system allows the pepper spray to spray like an aerosol in a continuous fashion from any angle, even when Pepper Gun is held upside down. Trigger Activated LED Light allows for better aim and temporarily disorients intruder.